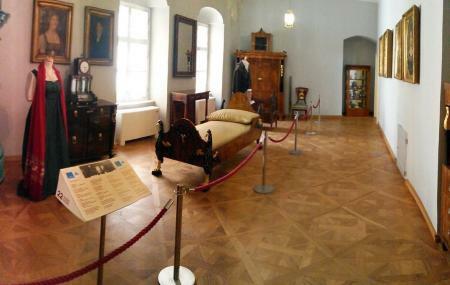 Accommodated in the Apponyi Palace, the Period Rooms Museum offers the essence of 18th century in Bratislava. The museum is loved for its true-to-time furnishings, design, layout and is cherished for its old paintings, collection of crockery and royal chandeliers. The museum maintains all the original items used by the residents of the palace and is a must-see for its authentic appeal. Ticket is inclusive of the ticket price for the Museum of Viticulture. How popular is Period Rooms Museum? People normally club together Slovak Philharmonic and St. Martins Cathedral while planning their visit to Period Rooms Museum. Unexpectedly large and interesting museum. Also allows access to the tower which offers a nice view over the city. Included in Bratislava card. It was cash only and I was 20 cents short, no atm or advice offered so I didn't get to see the museum. Lovely area though around the fountain etc. Great building to visit and explore with beautiful architecture and exhibitions within. Close to the primates palace and main square so very easy to do as part of a day looking round. Deserves to be savoured though. Other than the fact that it's an endless labyrinth, for which you need a lot of time to explore, it's an awesome place where you can learn more about Bratislava and Slovakia in general.